Extended Furniture Warranty Plans…is it Worth the Money? This is one question we get from our customers all the time asking whether or not truthfully extended furniture warranty plans are worth the money. In our opinion the value you may get from a warranty plan is going to be different for everyone but always worth the investment… if you’re looking at your furniture as an investment. If it’s furniture you only want for 6 months to a year or so then maybe it’s not that big of a deal for you but if you hope to keep the $1,500 sectional you just bought for years, then spending a couple hundred on a warranty plan is well worth it. I will caveat this by saying as long as the retailer you are working with sells the warranty within reason. I’ve seen some warranty plans run $600 – $800 which I think is too much. Our 5 year plans start at $199 so if you think about the cost per day you’re actually spending for peace of mind it’s cents on the day. So what do these plans cover? Over the years we’ve used a couple warranty companies and each has has their pluses and minuses. Almost all plans cover stains, rips, tears, burns and spills. Some plans have a 5 day notification period which just means if your daughter spills her grape juice all over your new sectional, you must call the warranty company within 5 days to report the claim. Some plans have a 15 day policy upon noticing. They do not care when the accident happened as long as you report it within 15 days of noticing the accident, so no matter what, you noticed the stain within the last 15 days. Some companies also require you to know what the stain actually is so make sure you say something other than ” I don’t know”. The one thing we’ve never found any warranty to cover is pet claws and jaws. If your pets vomit or urinate on your sofa however, they will cover that but chewing or scratching won’t be covered. If Sparky decides to try to bury a bone in your couch, the warranty companies will not accept it but if your child accidentally takes a screw driver to you sofa than that would covered. As a general rule, just don’t bring up your pet. Also, most companies generally do not cover accumulated stains. 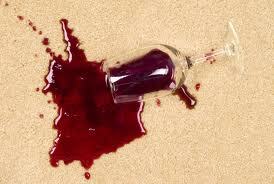 Therefore, make sure you notice each time a stain happens and report each incident separately. Most all companies to start will send out a cleaning kit to start and walk you through the process of cleaning your stain. If that doesn’t help, they will then send out a tech. The tech will come to clean, repair or replace whatever has been damaged or stained. Some companies will only replace a damaged piece once some will replace them multiple times. Always always always read the details of your plan to know what is and what is not covered. And make sure you save your receipt and your warranty information. We’ve told customers sometimes to tape copy of your registration and copy of your receipt to the bottom of your furniture. That way you know where to look when something happens. All in all,we’ve had enough incidents occur at Real Deal where either a customer was super happy they bought the warranty plan because their dog peed on their sofa the day after they got it or super bummed because they didn’t and they took a knife to the cushion opening unwrapping a sofa that we always recommend it. Just think, one accident happening without a warranty could result in a tech charging $200-$300 just to look at the damage. So we always tell our customers, it’s nice to have the piece of mind in case anything happens for cents on a day. If you have any other questions or concerns about furniture warranty plans and if they are really worth it, feel free to comment or contact us directly. You are currently reading Extended Furniture Warranty Plans…is it Worth the Money? at Real life, Real friends, Real deal.